Export all the Exchange mailbox items : Emails, contacts, calendar, etc. Permits conversion on basis of category : Mail, Calendar, Contacts, etc. Move email and other mailbox items in more than four times faster than that of other products. Instead of using multiple consoles or PowerShell screens, users can perform migration in just 2 panels. Reduce the migration challenges and efforts with help of this Exchange to Office 365 exporter. Based on users requirements, EDB to Office 365 migration is providing feature to recover individual data items. It is possible to export only important emails from Exchange to Office 365 account. Apart from this, users can use date filtering feature to transfer EDB to Office 365 of selective date range. At the time of exporting data, it is possible to import emails of only those folder that a person wants. From Folder List option of Export wizard, check the checkbox of only those folders, which are to be copied in Office 365. EDB to Office 365 migration tool enables users to see the Exchange database mailbox items. Emails with attachments, notes, events, etc., all can be previewed prior to the exporting procedure. This software functionality establishes credibility in software because here one will be able to decide what all data is to be moved in account. The username and password provided in Exchange to Office 365 importer will validate the equipped details. Once users have mentioned the credentials, software will authenticate each mailbox and continue with migration. Users can track live exporting procedure just after clicking on Export button. There is an ultimate feature of automatically creating CSV file. This option will help in filling up account credentials of multiple Office 365 account. Users just have to click on Auto-Generate CSV option, save it in desired manner, and enter required fields. Once done with all this, browse the same file in software for proceedings. It is common query that 'where is EDB file located'. Therefore, our developers decided to append an option to auto search EDB file from system. There are two options provided for locating EDB files from PC i.e., search from all drives and specific drive. One is free to choose any of the two provided option, as per convenience. Users can migrate exchange 2016, 2013, 2010, etc., public and private folders to Office 365 with this product. Emails with attachments and meta attributes will be same as it was before migration. Besides all this, tool is smart enough to recover permanently deleted data from processed EDB file. So, the product is multifaceted with numerous features to import Exchange contacts, emails, calendar, etc., to Office 365. Download Free version of Exchange to Office Migration Software before purchasing the complete software and know its potential. Trial version migrate 25 items/folder from Exchange to O365. Does your product supports offline or dismounted EDB files for migration? Yes, our migrator is capable of working with healthy / corrupted / dismounted / offline EDB files without any interruption. What is the maximum file size limitation imposed within your EDB to Office 365 software? There is no Exchange database file size constraint appended with our product. You can feel free to browse file of infinite size within our tool. Can I transfer only permanently deleted emails, recovered by your product in O365 account? Yes, in preview wizard, check the checkbox of only those emails that you want to export in Office 365 tenant. Where does your product stores Office 365 username and password that we share with it? Nowhere the Exchange to O365 migrator saves Office 365 credentials. 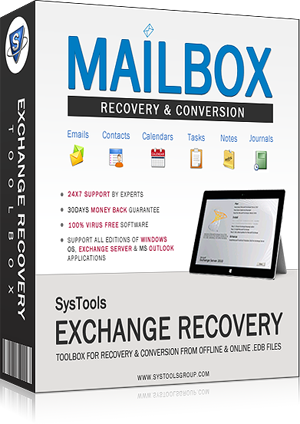 The software is fully safe and secure solution to transfer EDB mailboxes to Office 365. Is it mandatory to set the impersonation rights to every account? No, there is no need to enable the impersonation rights to all Office 365 accounts. Set the right only to the administrator user and use the same admin account credentials in tool. "Exporting selective items from offline EDB file to Office 365 was like impossible for me. It is so because all tools were offering complete data migration. Meanwhile, I came to know about this software from Technet forum and then tested its free version. I liked the way its demo version work and hence, purchased the licensed version. It was a nice experience to attempt the same migration." "It had became difficult to manage my organization data on the Exchange server. Therefore, I used this Exchange to Office 365 migration tool to migrate public and private folders of Exchange 2013 in O365 platform. The tool is simple and a perfect product for system administrators like me. It seems as if the developers are aware from all the challenges faced by a person at the time of the server platform migration. Thanks a lot for delivering a simplified product!" "The tool works like ‘no matter what, I will perform migration’. I tested the product on an expert level and it passed all my examination results without a single error. Talking about my requirement then, I used this application to move 1200 mailboxes of Exchange database file in Office 365 tenant. It was so effortless task for me that in just 5 to 6 clicks all data was in target account. I strongly recommend all to use this product as it has all functions that an administrator needs."